If your child has become the victim of cyberbullying it can be incredibly difficult to deal with. Anytime your child is being made fun of or teased is hard, but online, kids can take it to a whole new level. Many teenagers feel safe behind a screen, and they can say and do things they would never do in real life. This leaves the door wide open for some seriously damaging behavior. 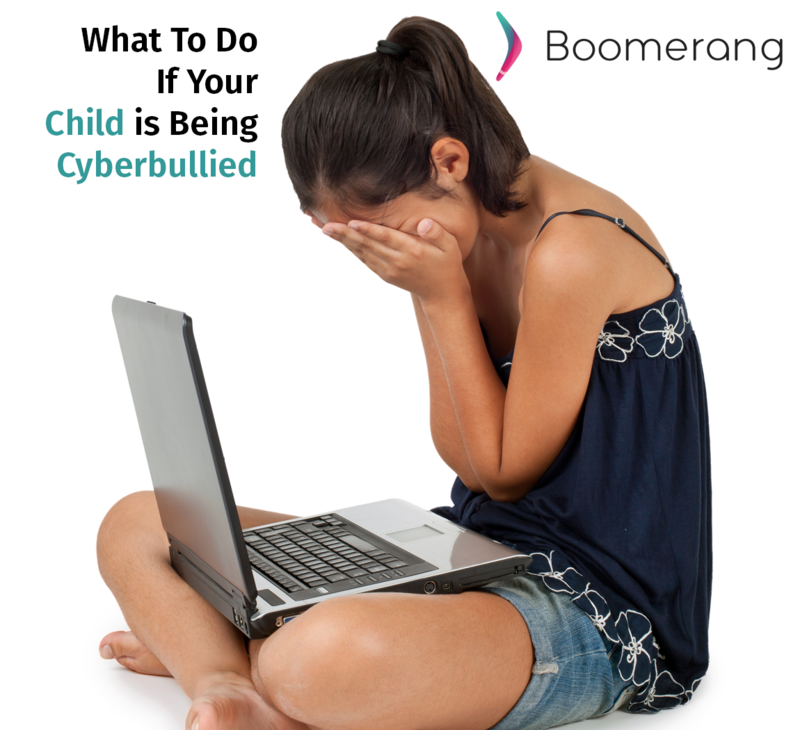 So, what should you do to help your child who is dealing with cyberbullying? First, you need to be an understanding and safe place for your child to come to talk to you about what they are experiencing. Frequent conversations and checkups on your child’s social media accounts are essential to keeping these lines of communication open. When you spot something that could be the beginnings of cyberbullying make sure you point it out and discuss what is happening with your child. Many schools and social media sites have a zero tolerance policy for bullying. When it is reported to proper authorities action can take place. Report the offensive content through the reporting tools available through the social media sites. Also, after you have reported it, make sure you also block the users that are responsible for the bullying. Do not block them first, because you will be unable to see the content after you have blocked them. You may even want to screenshot the content before you block as well, so you have evidence if needed. If the bullying is happening during school hours, even if it is through digital communication, it should also be reported to counselors, teachers or even the principal. These adults who are in charge at school have access to contact the parents to get them involved in a solution as well. If it is happening outside of school hours, there may not be much they can do, but they can still act as a mediator between the parents of the involved students. Make sure your child understands that even blocking them may not stop the bullying completely. The kids can create fake accounts to get around the block and continue their harassment. One reason bullying continues is due to the reactions they can get from the intended victim. If your child has enough self-confidence to shake off the things people say about them, they will be able to withstand other trials they face as they get older. Some bullying is obviously so severe that it would make this advise difficult to follow, however, being able to take back control of your life and not let other people dictate how you will live is extremely empowering. You can also get your child to take back the power by removing their account from the social network that is causing the problems, changing their phone number, and avoiding any possible interactions with those that are intent on harming them. While they may not be able to avoid them completely, your child should be able to reclaim some control of their digital life through these methods. Cyberbullying can be extremely scary. Make sure you are keeping an eye on your child’s interactions with friends and potential enemies. Whenever you see something that could be considered mean or inappropriate, nip it in the bud before it becomes a huge problem to tackle.